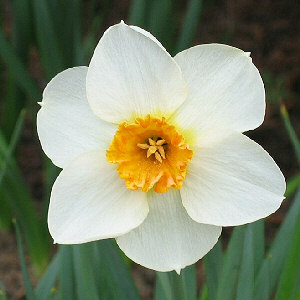 Whether they are called Daffodils, Narcissus or Jonquils, the genus Narcissus has a wealth of wonderful members. Who doesn't welcome these harbingers of spring with open arms after our lengthy northern winters? While some of the earliest forms start blooming in late winter, other later-blooming forms complete the show. 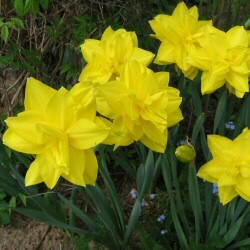 If you plant early season, mid-season and late season types you can enjoy up to a three-month bloom period. 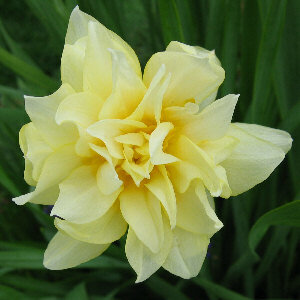 And including fragrant species in your plantings will increase your enjoyment immeasureably. 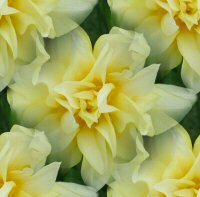 Your Narcissus may benefit from being divided about every fourth year in early summer, after the foliage has died off completely. 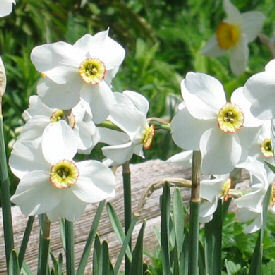 Lift the bulbs, lay to dry in the shade and break apart only when the bulbs separate easily. 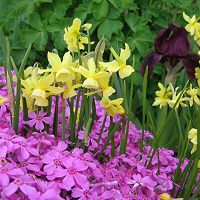 Either replant them at once or store in a cool, airy place and plant in autumn. 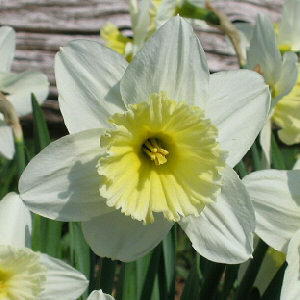 The American Daffodil Society Wister Award has been earned by several of the cultivars named below. Their site has images and information you might find both interesting and useful. The deer icon indicates plants that deer are not usually attracted to. The best time and method to propagate plants can be found on our image-intensive PROPAGATION page. To help your plants grow their best, check out our FERTILIZATION page. To create your own plant partnerships based on tried and true color theory, check out our GARDEN COLOR page. To see if a particular plant is on this page press Ctrl+F, type in the name, then click the Find button. in shade with: Denstaedtia punctilobula (Hayscented Fern), Hosta spp. 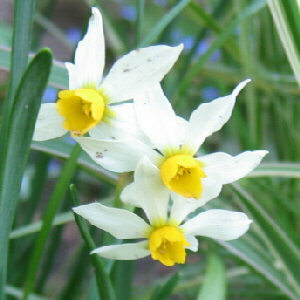 Narcissus canaliculatus: white flowers with yellow cups, sweetly scented, 6"
FOR MORE BULBS & THEIR COMPANIONS, FOLLOW THE LINKS BELOW. All of our own Gardens By The Bay pages can be accessed by clicking on the links below.